Currently, Dr. Sohail is working as Professor & Chairman of Computer Science at COMSATS University Islamabad. In 2011 he joined as a Director of the University Institute of Information Technology, PMAS-Arid Agriculture University, Rawalpindi. Previously, In 1994, he graduated with honors in Computer Science from the University of Wales, United Kingdom. He then recieved his PhD from Faculty of Information Technology at Monash University, Melbourne Australia in 2006. 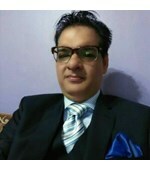 Professor Sohail has taught and researched in Data Mining (including structural Learning, Classification, and Privacy Presevation in Data Ming, Text and Web Mining), Big Data Analytics, Data Science and Information Technology areas, and he has published extensively (More than 150 publications) in international journals as well as conference proceedings. He has also consulted widely on information Technology matters, especially in the framework of Data Mining and Data Science. In 2004 he acquired the Australian Postgraduate Award for Industry. Professor Sohail is a member of, the Australian Computer Society (ACS), and IEEE and also Higher Education Commission Approved Supervisor. Professor Sohail is in the Editorial Team of well reputed Scientific Journals.He has also served as Program Committee member of numerous International Conferences and regularly speaks at international conferences, seminars and workshops. Faisal Shahzad,Sohail Asghar,Khalid Hussain''A Fuzzy Based Scheme for Sanitizing Sensitive Sequential Patterns'',Thomson Reuters Master Journal List,2015. Hassan, Z.,Asghar, S.,,''A Data Modification Technique in PPDM Based on Ant Colony Optimization Approach'',Proceeding of Sixth International Conference on the Applications of Digital Information and Web Technologies,2015. Sohail Asghar,,''A Comparative Analysis of Pruning Methods for C4.5 and Fuzzy C4.5'',Sixth International Conference on the Applications of Digital Information and Web Technologies (ICADIWT 2015),2015. Sohail Asghar,,''Hidden Markov Model Based Character Segmentation Factor Applied to Urdu Script'',Sixth International Conference on the Applications of Digital Information and Web Technologies (ICADIWT 2015),2015. Sohail Asghar,,''Bayesian Network Scores Based Text Localization in Scene Images'',International Conference on Neural Networks (IJCNN),2014. Sohail Asghar,,''Record-Couple Based Production Rule Mining Algorithm'',2nd International Conference on Computational and Social Sciences,2014. Rehman, S.,Asghar, S.,Fong, S.''Performance Evaluation of Frequent Subgraph'',Mathematical Problems in Engineering,2014. Asghar, S.,,''Record-Couple Based Production Rule Mining Algorithm: Tested in Medical Billing Domain'',Journal of Applied Environmental and Biological Sciences,2014. S. Asghar,M. Naeem,''Scientific Study of Religion in Vexillology'',Thomson Reuters Master Journal List,2014. Shah, R. A.,Sohail Asghar,''Privacy Preserving in Association Rules Using Genetic Algorithm'',Thomson Reuters Master Journal List,2014. S. Asghar,M. Naeem,''Structure learning via non-parametric factorized joint likelihood function, Journal of Intelligent and Fuzzy Systems'',Thomson Reuters Master Journal List,2014. Khatoon A.,Hafeez Y,Asghar, S. and Ali, T.''AN ONTOLOGICAL FRAMEWORK FOR REQUIREMENT CHANGE MANAGEMENT IN DISTRIBUTED ENVIRONMENT'',The Necleus: The Scientific Jourmal od Pakistan Atomic Engery Commisssion,2014. Hafeez Y,Batool, A,Asghar S., Jamal M.''Role of Software Requirements to improve the Quality of Scrum Framework'',Science International-Lahore,2014. S. Asghar,M. Naeem,''A Parameter Free BNN Discriminant Function for Optimal Model Complexity Versus Goodness of Data Fitting'',Thomson Reuters Master Journal List,2014. Noureen S.,Sohail Asghar,''Application of Search Algorithms for Model Based Regression Testing. '',Thomson Reuters Master Journal List,2014. Obaid, S.,Asghar, S.,Naeem, N.''Data Flow Analysis of UML Models by ALF'',Thomson Reuters Master Journal List,2014. Sultana S.,Motla Y.,S. Asghar, Jamal M. and Azad R.''A Hybrid Model by Integrating Agile Practices for Pakistani Software Industry'',24th International Conference on Electronics, Communications and Computers,2014. Naz,H.,Hafeez,Y.,Asghar,S., Ahmed M., Hassan M., Mukhtar M., Javed,A. ''A Systematic Approach for Web Engineering Practices by Integrating Data Mining Technique with Requirement Change Management'',IEEE 4th International Conference on Software Engineering and Service Science (ICSESS2013),2013. Naz, H.,Hafeez,Y.,Asghar, S., Abbas,M.A.&Katoon,A. ''Effective Usage of AI Technique for Requirement Change Management Practices'',The 5th International Conference on Computer Science and Information Technology (CSIT2013),2013. Batool,A.,Hafeez,Y.,Hamid,B.,Asghar,S.,Riaz,M.,& Mukhtar,M.& Ahmed,M. ''Comparative Study of Traditional Requirement Engineering and Agile Requirement Engineering'',The 15th International Conference on Advanced Communications Technology (ICACT 2013) ,2013. Muhammad Naeem,Sheneela Naz,Sohail Asghar''QoS Guarantee for VOIP over Wireless LANs'',Thomson Reuters Master Journal List,2013. Naeem M,S. Asghar,''Knowledge Discovery in Endangered Species Diversification'',ULRICH''s Periodicals Directory, INSPEC ,2013. Malik Mehroze,Khalid Usmani,Faraz Ahsan, and Sohail Asghar''Fairness Based Dynamic Routing Technique (FsBDRT) in Wireless Mesh Network '',Thomson Reuters Master Journal List,2013. S. Asghar,Subhan, S.,''Query Evaluation Architecture for Uniformed Distributed Xolap Cubes (Qeaudxc)'',Thomson Reuters Master Journal List,2013. Hussain, T.,S. Asghar,''WEB MINING: APPROACHES, APPLICATIONS AND BUSINESS INTELLIGENCE'',Thomson Reuters Master Journal List,2013. Khalid Hussain,Saleem Iqbal,Sohail Asghar and Abdul Hanan Abdullah''An Efficient AI Based Approach for Multimedia Traffic Management in Wireless Network'',RESEARCH JOURNAL OF APPLIED SCIENCES ENGINEERING AND TECHNOLOGY,2013. S. Asghar,M. Naeem,''A Novel Mutual Dependence Measure for Structure Learning'',Thomson Reuters Master Journal List,2013. M. Naeem,S. Asghar,''An Information Theoretic Scoring Function in Belief Network'',Thomson Reuters Master Journal List,2013. S. Asghar,M. Naeem,''A Review of Feature Selection Techniques in Structure Learning'',Journal of Engineering and Applied Sciences (JEAS), University of Engineering & Technology Peshawar,2013. Batool, A.,Hafeez,Y.,Asghar,S. ''A Scrum Framework for Requirement Engineering Practices'',Proceedings of the Pakistan Academy of Sciences,2013. Tariq Ali,Sohail Asghar,Naseer Ahmed Sajid and Munir Ahmad''Classification of Scientific Publications using Swarm Intelligence'',Proceedings of the Pakistan Academy of Sciences,2013. Kanwal A.,Fazal S.,Asghar S., Naeem M.''MODY GENES: Subgroup Discovery From Text Documents'',The Professional Med Journal 2013,2013. Mushtaq F,Sohail Asghar,Sajid N A. ''Web Usage Logging Framework for Data Mining'',SINDH UNIVERSITY RESEARCH JOURNAL (SCIENCE SERIES),2013. Kanwal A,Fazal S,Asghar S, Naeem M''MODY GENES; Linkage Analysis and Subgroup Discovery From Text Documents'',Professional Med Journal,2013. Hussain, T.,Asghar, S.,''EVALUATION OF SIMILARITY MEASURES FOR CATEGORICAL DATA. '',The Scientific Jourmal od Pakistan Atomic Engery Commisssion,2013. Hameed S.,Shahzad, F.,Asghar, S.''Sanitizing Sensitive Association Rules using Fuzzy Correlation Scheme'',The Scientific Jourmal of Pakistan Atomic Engery Commisssion,2013. Asghar, S.,,''A Survey of Logic Based Classifiers'',International Journal of Future Computer and Communication (IJFCC),2013. Asghar, S.,,''Towards a Framework for Scrum Handover Process'',Proceedings of the Pakistan Academy of Sciences,2013. Naeem M.,Asghar, S.,''A Novel Feature Selection Technique For Feature Order Sensitive Classifiers, Anale. '',Computer Science Series,2013. Kabeer, W.,Asghar, S.,''Multi-Table Index Based Incremental Update Scheme for Query Result Cache in a Data Warehouse'',Thomson Reuters Master Journal List,2012. HUSSAIN, T.,QADIR, M. A.,ASGHAR, S.''Falsification of Web Objects: A Semantic Web Mining Approach. '',SCOPUS, DOAJ, Elsevier's Compendex - Engineering Village (EI), EBSCO and ProQuest, DBLP.,2012. Hafeez,Y.,Riaz,M.,Asghar,S.,Naz,H.,Gilani,S.M.M.,Batool,A.,Ahmed,M.&hassan,M.S. ''A Requirement Change Management Framework for Distributed Software Environment'',7th International Conference on Computing and Convergence Technology,( ICCCT),2012. Shahzad, F.,Asghar, S.,''Hiding Sequential Patterns using the FP Growth Technique'',Proceedings of the 2011 International Conference on Computer Networks and Information Technology (ICCNIT),2011. Muhammad Naeem,Asghar, S.,''KDSSF: A Graph Modeling Approach. International Journal of Computer Applications'',ULRICH''s Periodicals Directory, INSPEC ,2011. Khan, A.,Asghar, S.,Fong, S.''Framework of Integrated Semantic Web Services and Ontology Development for Telecommunication Industry'',Journal of Engineering and Applied Sciences (JEAS), University of Engineering & Technology Peshawar,2011. Khan, A.,Asghar, S.,Fong, S.''Framework of Integrated Semantic Web Services and Ontology Development for Telecommunication Industry'',ULRICH''s Periodicals Directory, INSPEC ,2011. Usman, M.,Asghar, S.,''Architecture for Integrated Online Analytical Mining. '',ULRICH''s Periodicals Directory, INSPEC ,2011. Khan, A.,Asghar, S.,Fong, S.''Evaluation of Semantic Web Services: Before and After Applying in Telecommunication. '',ULRICH''s Periodicals Directory, INSPEC ,2011. Khalid Iqbal,Sohail Asghar,Abdulrehman Mirza''Hiding Sensitive XML Association Rules with Supervised Learning Technique, Intelligent Information Management'',ISI Web of Knowledge ,2011. Asghar, S.,,''QoS Guarantee for VOIP over Wireless LANs'',International Journal of Hybrid Information Technology,2011. Asghar S.,Umar, M.,''Requirement Engineering Challenges in Development of Software Applications and Selection of Customer-off-the-Shelf (COTS) Components'',International Journal of Software Engineering (IJSE),2010. Usman, M.,Asghar, S.,Fong, S.''Integrated Performance and Visualization Enhancements of OLAP Using Growing Self Organizing Neural Networks'',ULRICH''s Periodicals Directory, INSPEC ,2010. M. Naeem,S. Asghar,''A Novel Architecture for Hiding Sensitive Association Rules. '',Proceedings of the 2010 International Conference on Data Mining (DMIN 2010),2010. Shaukat Ali Khan,Sohail Asghar,Simon Fong''Modeling TSP with Particle Swarm Optimization and Genetic Algorithm'',6th International Conference on Advanced Information Management and Service (IMS),2010. Ahmad, M.,Asghar, S.,Qadir, M.A., Ali, T.''Graph Based Query Trimming Algorithm for Relational Data Semantic Cache'',In Proceedings of MEDES '10: International ACM Conference on Management of Emergent Digital EcoSystems, Bangkok, Thailand,2010. Tasawar Hussain,Sohail Asghar,Simon Fong''A Hierarchical Cluster Based Preprocessing Methodology for Web Usage Mining'',6th International Conference on Advanced Information Management and Service (IMS),2010. Khalid Iqbal,Sohail Asghar,Simon Fong''Hiding Sensitive XML Association Rules via Bayesian Network'',6th International Conference on Advanced Information Management and Service (IMS),2010. Muhammad Naeem,Sohail Asghar,Shahzad Rafiq Irfan, Simon Fong ''Multilevel Classification Scheme for AGV Perception'',6th International Conference on Advanced Information Management and Service (IMS),2010. Muhammad Naeem,Sohail Asghar,Simon Fong ''Hiding Sensitive Association Rules Using Central Tendency'',6th International Conference on Advanced Information Management and Service (IMS),2010. Hussain T.,Asghar, S.,Masood, N.''Hierarchical sessionization at the preprocessing level of WUM based on swarm intelligence'', Proceedings of the 2010 6th International Conference on Emerging Technologies (ICET), Islamabad, Pakistan,2010. Ali, T.,Asghar, S.,Sajid, NA. ''Critical Analysis of DBSCAN Variations. '',Proceedings of the 2010 International Conference on Information and Emerging Technologies National University of Computer and Emerging Sciences - FAST (NU-FAST). Karachi, Pakistan,2010. Elahi, E.,Hassan, N.,Asghar, S., Qayyum, A. ''Performance Modeling of Bandwidth Aggregation for TCP Connections'',IEEE 12th International Conference on High Performance Computing and Communications, Melbourne, Australia,2010. Tahir, GR.,S. Asghar,Masood, N.''Knowledge Based Machine Translation Semantically Enriched English-to-Urdu Machine Translation Using Data Mining Techniques'',Proceedings of the 2010 International Conference on Information and Emerging Technologies National University of Computer and Emerging Sciences - FAST (NU-FAST). Karachi, Pakistan,2010. Hussain T.,Sohail Asghar,Masood, N.''Web Usage Mining: A Survey on Preprocessing of Web Log File. '',Proceedings of the 2010 International Conference on Information and Emerging Technologies National University of Computer and Emerging Sciences - FAST (NU-FAST). Karachi, Pakistan,2010. Sajid, NA.,Asghar, S.,Zafar, S.''Sequential Pattern Finding: A Survey'',Proceedings of the 2010 International Conference on Information and Emerging Technologies National University of Computer and Emerging Sciences - FAST (NU-FAST). Karachi, Pakistan,2010. Rehman, N,Bibi, S.,Asghar, S., Fong, S.''Comparative study of Goal-Oriented Requirements Engineering. '',Proceedings of the 4th International Conference on New Trends in Information Science and Service Science (NISS),2010. Asghar, S.,Asif, M.,Muhammad, S., Habiba, U., Fong, S.''Analytical framework for studying the effects of user participation in DSS development'',Proceedings of the 4th International Conference on New Trends in Information Science and Service Science (NISS),2010. Ghauri, F.,Yasir, M.,Rehman, S., Asghar, S.''Multi agent based decision support system for prioritized emergency fire evacuation. '',Proceedings of the 4th International Conference on New Trends in Information Science and Service Science (NISS),2010. Asghar, S.,Iqbal, K.,''Automated Data Mining Techniques: A Critical Literature Review. '',Proceedings of the International Conference on Information Management and Engineering (ICIME 2009),2009. Usman, M.,Asghar, S.,Fong, S.''Data Mining and Automatic OLAP Schema Generation. '',Proceedings of the International Conference on Computer Sciences and Convergence Information Technology (ICCIT2009),2009. Asghar, S.,Fong, S.,Hussain, T.''Business Intelligence Modeling: A Case Study of Disaster Management Organization in Pakistan. '',Proceedings of the Fourth International Conference on Computer Sciences and Convergence Information Technology (ICCIT2009),2009. Habiba, U.,Asghar, S.,''A Survey on Multi-Criteria Decision Making Approach'',Proceedings of the 5th IEEE International Conference on Emerging Technologies 2009 (ICET 2009),2009. Usman, M.,S. Asghar,Fong, S.''A Conceptual model for combining enhanced OLAP with data mining systems'',Proceedings of the 5th International Conference on Networked Computing NCM 2009,2009. Asghar, S.,Ruksana,Subhan, S., and Fong, S''Assimilation of Heterogeneous Resources by Utilizing Unified Format of XML for Constructing OLAP Cubes'',Proceedings of the Fourth International Conference on Computer Sciences and Convergence Information Technology (ICCIT2009),2009. Iqbal, K.,Asghar, S.,Zafar, S.''Generating Hierarchical Association Rules with the Use of Bayesian Network'',Proceedings of the Third International Conference on Network and System Security on 19-21 October 2009 Gold Coast, Australia,2009. Asghar, S.,Fong, S.,Ruksana''A Contemplation of Group Decision Support System'',Proceedings of the Fourth International Conference on Computer Sciences and Convergence Information Technology (ICCIT2009),2009. Siddique, M.,Asghar, S.,''Active and Real-time Data Warehousing: Issues and Practices. '',Proceedings of the 2009 International Conference on Information & Knowledge Engineering, IKE 2009,2009. Asghar, S.,Sharif, R.,''XML-OLAP: An Evaluation of Significant Relationship. '',Proceedings of the 2009 International Conference on Enterprise Information Systems and Web Technologies (EISWT-09),2009. Asghar, S.,Osama, F.,''A Literature Review on Efficient Online Analytical Processing System. '',Proceedings of the 15th conference on Information and Software Technologies IT 2009,2009. Asghar, S.,Hussain, T.,''Business Intelligence Dimensions: Issues and Practices. '',Proceedings of the 2009 International Conference on Enterprise Information Systems and Web Technologies (EISWT-09),2009. Azeem, S,Asghar, S.,''Evaluation of Structured and Unstructured Document Classification Techniques. '',Proceedings of the 2009 International Conference on Data Mining (DMIN'09),2009. Asghar, S.,Azeem, U.,''Evaluation of Techniques for Automation of Schema Generation. '',Proceedings of the 2009 International Conference on Enterprise Information Systems and Web Technologies (EISWT-09),2009. Shahzad, A.,Hussain, M.,Asghar, S.''Optimal Implementation of Network Admission Control. '',Proceedings of the Annual Security Conference. “Security, Assurance and Privacy: organizational challenges”,2009. Asghar S.,Alahakoon D.,Churilov L.''A Modular Subroutine Selection Process in Disaster Management Based on a Needs Classification Scheme '',Thomson Reuters Master Journal List,2009. S. Asghar,Alahakoon D.,Churilov L.''Categorization of Disaster Decision Support Needs for the Development of an Integrated Model for DMDSS'',Thomson Reuters Master Journal List,2008. Asghar, S.,Mateen, A.,''Models for Automated Risk Mitigating Procedures and Tools Development. '',Proceedings of the International Conference on Enterprise Information Systems and Web Technologies (EISWT-08),2008. Asghar, S.,Mateen, A.,''Automated Mitigation of IT Risks in an Enterprise Resource Planning Environment. '',Proceedings of the IADIS International Conference Information Systems 2008, ALGARVE, PORTUGAL,2008. Asghar, S.,Usman, M.,''Enhancing OLAP Performance and Visualization. '',Proceedings of the CISTM 2008,2008. Ahmed, Z.,Asghar, S.,''A framework for mapping an ERP to a software product line. '',Proceedings of the International Conference on Enterprise Information Systems and Web Technologies (EISWT-08), Orlando, FL. USA,2008. Aslam, M.,S. Asghar,''Inadequate Stakeholders Involvement in Software Requirements Specification and their impact on IS Projects Success. '',Proceedings of the International Conference on Enterprise Information Systems and Web Technologies (EISWT-08),2008. Asghar S.,Alahakoon D.,Churilov L.''MILD DSS – Conceptual Architecture, Validation and Representation'',ABI/INFORM by ProQuest; EBSCO ,2008. Asghar, S.,,''A Modularization Approach for Disaster Management Decision Support Models Using Agents Technology. '',Proceedings of the Australia and New Zealand Systems Conference 2007 (ANZSYS’07), Auckland, New Zealand,2007. Asghar, S.,,''Decision Support in Disaster Management Based on Cyber-Infrastructure. '',Proceedings of the 12th Asian Pacific DSI Conference, Bangkok, Thailand,2007. Asghar, S.,,''Cyber-Infrastructure: A Possible Solution to Disaster Management Problem and Issues. '',Proceedings of International Conference on Operations and Supply Chain Management (ICOSCM), China,2007. Asghar S.,Ahmed A.,''Agent Based Security Framework to Protect Integrated Model for Decision Making in Disaster Management'',Proceedings of the 6th Annual Security Conference,2007. Asghar, S.,Alahakoon D.,Churilov L.''A Modular Subroutine Selection Process Based on Needs Classification Scheme'',Proceedings of the 11th Annual Conference of Asia-Pacific Decision Science Institute (APDSI 2006),2006. Asghar, S.,Alahakoon D.,Churilov L.''A Multi-Layered Architecture for the Decision Support in Disaster Management'',Proceedings of the 15th conference on Information and Software Technologies IT 2009,2006. Asghar S.,Alahakoon D.,Churilov L.''A Comprehensive Conceptual Model for Disaster Management'',the Department of Peace Studies, University of Bradford, UK, and the Feinstein International Center,2006. Asghar, S.,D. Alahakoon,L. Churilov''Environmental Influences on Disaster Management. '',Proceedings of the 10th Annual Meeting of the Asia-Pacific Decision Sciences Institute. Taiwan,2005. Asghar S.,Alahakoon D.,Churilov L.''A Layered Framework for the Development of Decision Support System Model for Disaster Management'',Proceedings of the Conference on Information Science, Technology and Management, CISTM2005,2005. Asghar, S.,D. Alahakoon,L. Churilov ''A Modular Approach to Decision Support Systems for Disaster Management within the Framework of Cyber-infrastructure'',Proceedings of the 8th International Conference of the Association of Information Systems (ISDSS),2005. S. Asghar,Alahakoon D.,Churilov L.''A Dynamic Integrated Model for Disaster Management Decision Support Systems'',United Kingdom Simulation Society ,2005. S. Asghar,Alahakoon D.,Hsu A. ''Enhancing OLAP functionality using neural networks'',Dynamic Publishers, Inc, Atlanta, USA,2004. Asghar S.,Alahakoon D.,''Cluster-Based OLAP for Pattern Directed Data Analysis'',Proceedings of the International Conference on Computational Intelligence for Modelling, Control & Automation,2004. Asghar, S.,Alahakoon D. ,Churilov L.''A Hybrid Decision Support System Model for Disaster Management'',Proceedings of the Fourth International Conference on Hybrid Intelligent Systems, Kitakyushu, Japan,2004. Asghar S.,Alahakoon D.,''A Hybrid Neural Network Based DBMS for Enhanced Functionality'',Proceedings of Third International Conference on Hybrid Intelligent Systems, Melbourne, Australia,2003. Asghar, S.,Alahakoon D.,Taniar D.''Enhancing OLAP Functionality using Association Rules'',Proceedings of the 2nd International Conference on Computational Intelligence, Robotics and Autonomous Systems (CIRAS''2003), Singapore,2003. Muhammad Naeem,Saira Gillani,Muhammad Abdul Qadir, Sohail Asghar''gSemSim: Semantic Similarity Measure for Intra Gene Ontology Terms'',ULRICH''s Periodicals Directory, INSPEC ,.